Many business operators in Japan have a stake in the continuation of a smooth trading relationship between the United Kingdom and the European Union, but as the UK draws closer to its scheduled departure from the EU at the end of this month, firms are still struggling to assess the potential impact of Brexit on trading conditions and their supply chains. 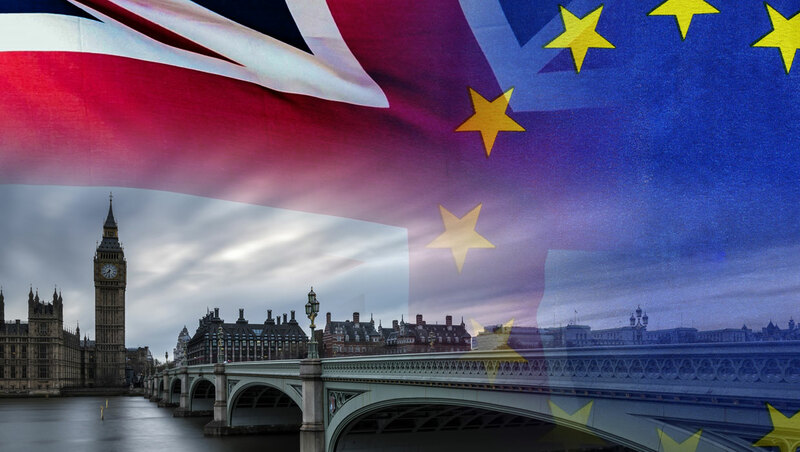 With a drawn-out political debate in Westminster over the withdrawal agreement, the ultimate nature of that trading relationship remains shrouded in uncertainty. While Japan-based entrepreneur David Croll — co-founder of two businesses, Whisk-e Limited and Number One Drinks — is hopeful that trade will continue unimpeded, he is considering a change to his distribution arrangements to help him effectively reach his customers in the EU in the event that there is a disruption in trading between the UK and the rest of Europe. Whisk-e distributes premium whiskies, craft beers, gins and other spirits in Japan; the majority of its suppliers are based in the UK. Meanwhile, Number One Drinks — the producer of KI NO BI Kyoto Dry Gin — values the UK as one of its larger export markets. It also has customers in mainland Europe whose orders have always been routed through the UK. Likewise, some big-name Japanese companies with operations in the UK seem keen to project a sense of business as usual and emphasise the importance of the relationship. For example, Toyota Motor Corporation cites its investment of £2.75 billion in its UK operations since 1992, which includes its recent announcement of a £240 million upgrade to its plant in the village of Burnaston, Derbyshire, to build the new Corolla. Production started in January. The company intends to “continue making every effort to uphold and improve our productivity at our current production sites,” but adds that it needs “a business environment that allows us to compete internationally so we can continue to attract new investments”. Such a scenario would have “an immediate and severe effect” on Toyota’s just-in-time logistics, with lengthy delays at the border leading to line stoppages at its plants within days or even hours, resulting in increased costs and reducing its competitiveness. Japanese and British officials have sought to help businesses prepare for Brexit. Japanese Foreign Minister Taro Kono says a task force in the prime minister’s office is looking at how to assist Japanese businesses during the Brexit process, while Japan’s embassy in the UK is planning workshops for affected firms. “We really do hope that British people and the British government have some sense not to leave the EU without any deal,” Kono told Eurobiz Japan at a press conference. Jaguar Land Rover (JLR), an iconic British automotive brand with operations in many countries including Japan, is also wrestling with Brexit alongside other challenges. In January, it announced it would shed 4,500 jobs from its global workforce, many of them management roles in the UK, citing “multiple geopolitical and regulatory disruptions, as well as technology challenges”. Magnus Hansson, CEO of JLR Japan Ltd, says the company is a strong advocate of free trade and hopes solutions will be in place to enable the benefits of trade between the UK and all countries. Whatever the outcome of the Brexit uncertainty, businesses that operate in Japan and the UK hope that the two countries can act quickly to put a trade deal in place. British Prime Minister Theresa May and her Japanese counterpart, Shinzo Abe, have indicated they will use the recently finalised Japan–EU Economic Partnership Agreement (EPA) as the basis for the future economic partnership between Japan and the UK. At a London summit meeting in January, they signalled they wanted such a deal to come into force as soon as possible, although they would also seek “to make this new partnership more ambitious and enhanced in areas of shared interests”. Hansson says that while he won’t speculate on how quickly such a trade deal can be reached, he hopes it will be among the highest priorities, noting there appears to be strong will on both sides to prioritise the Japan–UK relationship and trade. “Any UK enterprise trying to win customers in Japan will be competing against other European choices, so the benchmark must be to emulate the FTA [free trade agreement]conditions [set out in the Japan–EU EPA],” Hansson says. Croll, too, sees cause for optimism about the long-term trading relationship between Japan and the UK. “We would hope that the close cultural and economic ties between the UK and Japan remain, and even strengthen, post-Brexit,” he says. “As shima-guni [island countries], there’s a natural bond between our countries and also a real respect and desire for each other’s goods and services.